The Thursday night box office numbers for Jordan Peele’s Us are in and the horror maestro already appears to be outdoing himself. Us accumulated an impressive $7.4 million in its Thursday night box office previews from 3,150 screens. That’s a $5.6 million increase from Get Out’s 2017 preview intake. Per independent trackers, Us is poised to earn $45-$50 million this weekend when it opens on 3,741 screens. Again, just for comparison’s sake, Get Out earned $33.3 million in its opening weekend. Not bad for a film with a $20 million budget. 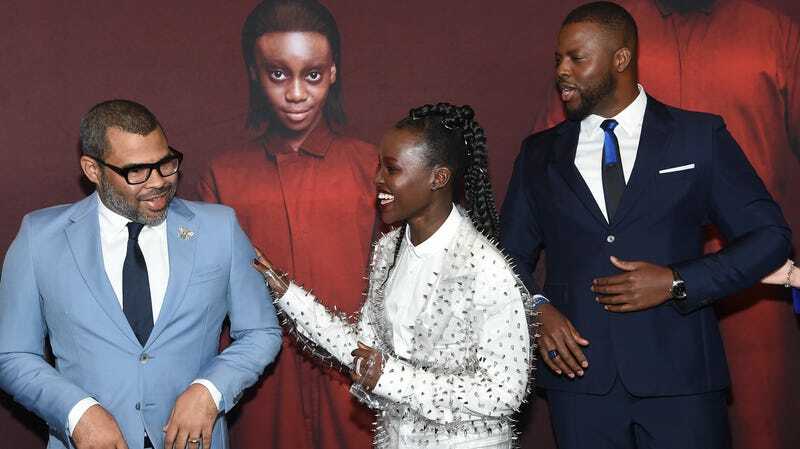 Us stars Lupita Nyong’o and Winston Duke as Adelaide and Gabe Wilson, who take their two children (Evan Alex and Shahadi Wright Joseph) to Adelaide’s childhood home for a beachside vacation. They intend to create a host of warm family memories, but end up facing a petrifying family of deadly, scissor-wielding doppelgängers. This film is the second for Peele’s Monkeypaw Productions. With Peele seemingly evading the sophomore slump, will it be enough to dethrone Captain Marvel in its third weekend?